You will add many Cheats: Unlimited Health , Unlimited Super Meter , Weak Player , Freeze Match Time Clock and many more. Welcome! Below we have reported the Trainer of Injustice 2 with also attached a small guide to its use. 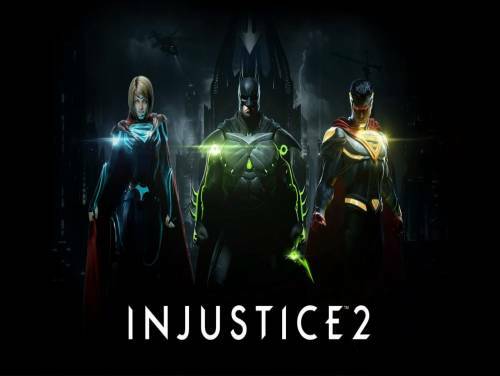 Together with the trainer we can also provide you with the tricks of this game Enter the tricks and codes page of Injustice 2 and you will find all the tricks and unlockables to easily finish the game and, often, even a small guide to the collectibles of the game. Together with the trainer we can also provide you with the solution of this game in the form of a video guide. Enter in the solution page of Injustice 2 and you will be able to find a step by step guide to finish the game and, often, also to the game collectibles. Each battle define you. Strengthened and build the final version of your hero DC favorite in Injustice 2. With a giant selection of superheroes and supervillains, the game allows you to equip any character with armor powerful won during the game. You will be able to control the characters in a way you've never done it before, you will be able to control their fighting style and how they develop. The program you are about to download was not created by Apocanow. However, we have permission to publish and publicize by the authors of the Trainer Injustice 2 Trainer - vSTEAM 10.08.2018. The contents of the file are virus free, even if sometimes they can trigger the AV as false positive. This trainer was created and intended for SINGLE PLAYER OFFLINE USE. use it against other people. USE IN CAMPAIGN AND SINGLE PLAYER ONLY. very weak and the Super Meter is set to 0. Mother Box Purchases, even if you don't have enough credits. Regenerate Gear items, even if you don't have enough tokens. Transform Gear items, even if you don't have enough crystals.